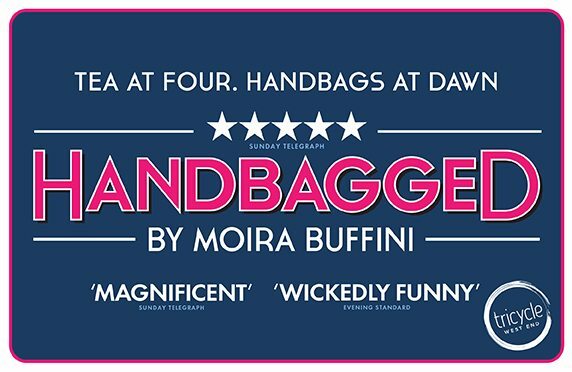 Written by a woman, directed by a woman, starring women and focusing on two of the most influential women of modern times, Mags and Liz, Handbagged makes a triumphant West End transfer to the Vaudeville Theatre. 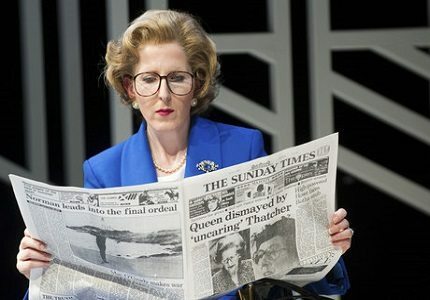 Focused on the Monarch, Queen Elizabeth II and her most powerful subject, Prime Minister Margret Thatcher, Handbagged is a mischievous piece of new writing by Moira Buffini that focuses on the duo’s relationship across the generations. Handbagged received rave critics reviews when it opened on the West End in April with many praising the show for its playful take on the imagined meetings between the Queen and the Premier. Hangbagged stars Fenella Woolgar and Lucy Robinson as young Margret and young Elizabeth respectively, with Marion Bailey playing the older Queen alongside Stella Gonet as the more senior Thatcher. Handbagged is directed by Indu Rubasingham, the artistic director of Kilburn’s Tricycle Theatre where the show originated. The show runs at the Vaudeville Theatre until August 2014. Handbagged is not aimed at young children, who may find the subject matter somewhat dense. Older children who want to experience a slightly warped history lesson may enjoy the show.